Now in her 5th year here at Recruit First IT, Emma’s the vital cog that keeps the operation running optimally. Always willing to turn her hand to anything, Emma pays particular attention to ensuring that the needs of our employees, clients and jobseekers are met in a timely and effective manner. 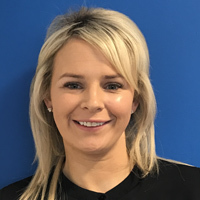 For more information on Emma see her LinkedIn profile here.